The Mason Jar Mavens: A Collaboration For Mason Jar Enthusiasts Free E-book Download! You are here: Home / FREEbies / The Mason Jar Mavens: A Collaboration For Mason Jar Enthusiasts Free E-book Download! Mason jars are such a popular way to package foods, gifts and other items. You can make anything cute with a mason jar, and now we have a fabulous FREE e-book download to give us even more ideas! 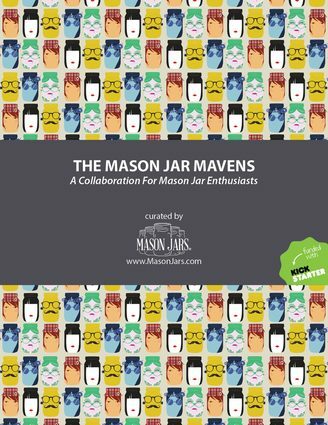 Head over here to download The Mason Jar Mavens: A Collaboration for Mason Jar Enthusiasts for FREE! At the root of it, everyone has at least one reason why they use and reuse Mason jars time and time again. In honor of these people and uses, we created The Mason Jar Mavens, who serve as guides for this eBook collaboration. We’ve gathered entries from some of our favorite bloggers, stockists, and staff.